If I’d known then what I know now my eldest son’s start in school would have been wildly different. I’m the mother of a highly sensitive child (HSC) and as he grows so does my understanding of what he needs to flourish. My son started primary school at the beginning of 2011. It was a rough ride from day one. One of his regular teachers was on maternity leave so every week the void was filled with yet another face. From one morning to the next it was hard to know which face would greet him at the classroom door – it didn’t give me a comfortable feeling, let alone my four year old son. My HSC is unsettled by uncertainty, change and new environments. Like most highly sensitive children. His first day at school was a drama that will occupy a space in my memory for all time. His father and I had to physically drag him into his new classroom. Although the teacher was great with him, for my son she was an unknown entity. He kicked, he screamed and he cried. We left the classroom with the desperate cries of “mama” and “papa” ringing in our ears. I could feel my heart breaking as we walked through the recently abandoned hallways. If I could go back in time I would go back into that classroom, scoop him up and take him home. It was a sign of things to come. This nightmare was the morning ritual for his first week. The kicking and screaming in the classroom stopped but the daily tears at the classroom door took weeks to dry up. The reluctance to go to school lasted for months and the tantrums trying to get him back to school after lunch didn’t end until the school year did. It is clear, in hindsight, that his teacher and I weren’t on the same page from the off. His teacher insisted that the best thing for my son was to throw him in at the deep end and have him come to school full time as soon as possible. My mama instinct said a softly softly approach fitted my four year old HSC better. Two and a half years later, my son returned smiling from his familiarisation morning at the new school we had chosen for him. 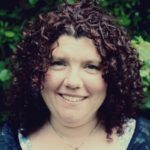 Two and a half years after he first started school I was a much wiser mother tuned in to my son’s needs in the classroom – and it helped us find a new school that was more in tune with my son’s needs. He is now a ‘happy to go to school’ (most of the time) eight year old and we haven’t looked back. 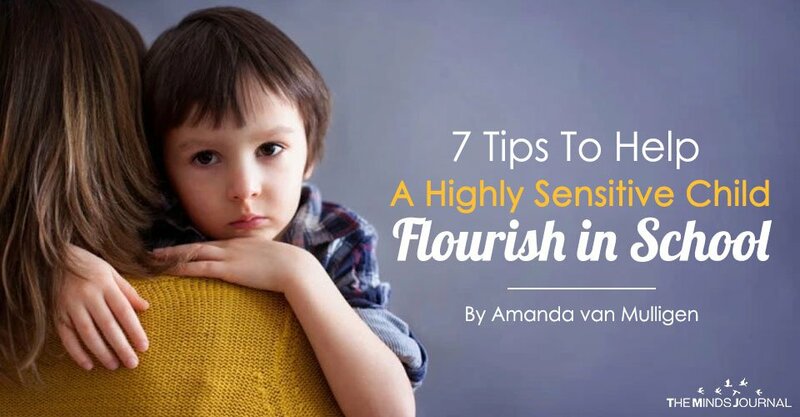 Here are seven pearls of wisdom I’ve picked up during our school journey…..
High sensitivity is not understood in every school, despite up to 20% of children being highly sensitive. If your child is just starting out in school you have the perfect opportunity to get it right from the start. Talk to the school director about high sensitivity and what it means for your family. If you get blank stares or cries of “it’s not scientifically proven” (or worse) then move on to the next school on your list. A teacher needs to fully understand the sensitivities of your child and the implications of these in the classroom for your child to thrive in school. Many HSCs need a trusted environment to flourish and will sense if a teacher does not behave genuinely with them. They will be frightened by stern or a teacher that regularly shouts at the class. My eldest told us, once he had changed schools, that he went many times to his former teacher to tell her he felt so tired in the classroom. It was his way of explaining that his bucket was full and he needed the time out. Her response was that he should go to bed. It didn’t help him and he stopped communicating how he felt with her. There was no going back from there. It is imperative that teachers understand that an HSC needs downtime and feel quickly overwhelmed in a busy classroom. Share the ‘Tips for Teachers’ sections that some books on the topic of HSCs have with your child’s teachers. A great starting point is the teacher tips in Elaine Aron’s The Highly Sensitive Child book. If a teacher or school does not embrace your child as a HSC then switch classes or consider other schooling options. If those spending so much time with your child do not take your child’s needs seriously then school life could be problematic for your HSC. How can a teacher get the best out of a child they don’t even begin to understand? Assess what your child needs before starting a new school or class. The unknown is often frightening for a HSC so an introduction to the teacher and a preview of the new classroom before they begin at school can make a huge difference. Make a photo book of the school to get your child familiar with the environment before they are in it daily. Ask the teacher to outline how the first day will look. Discuss whether you can stay with your child until they are settled and feeling more confident. If a child starts school with a positive experience it will certainly help in the long run. You will need to stand up for your child time and time again. If your child has been seated in a busy aisle when she needs a quiet space then speak up. If your child comes home pale and wiped out then talk to the teacher about the school day. If your child spends the evening crying because he is over stimulated from a busy day, communicate with the teacher. If you are yourself a highly sensitive person (HSP) this goes against the grain but you do need to be your child’s biggest advocate, even if it feels uncomfortable.